Hmmmm... Asuran! he's looking so hot with that frown. Not to say that I love ZAFT pilot suit! This is a nice pic of him, the pose is awesome! Thanks for sharing this nice scan, smoon! Wow, I love this piccy! SUGOI! 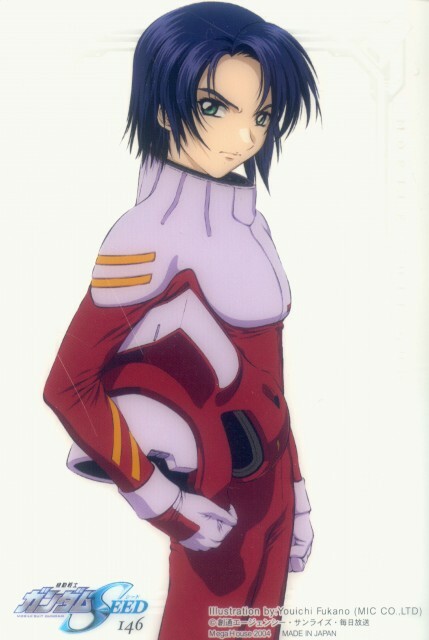 Athrun looks soooo cool in his ZAFT pilot suits! athrun is so cool! i love him so much "specially in SEED"